"The new Epson Home Cinema 5050UB and 5050UBe projectors are worthy successors to our highly-acclaimed Home Cinema 5040UB and 5040UBe," said Rodrigo Catalan, senior product manager, Projectors, Epson America. "By retaining the outstanding black performance from the previous generation and adding our latest 4K PRO-UHD2 resolution enhancement technology, we've raised the bar again with the new Home Cinema solutions to deliver top contenders for the best DIY home theater projectors available today." 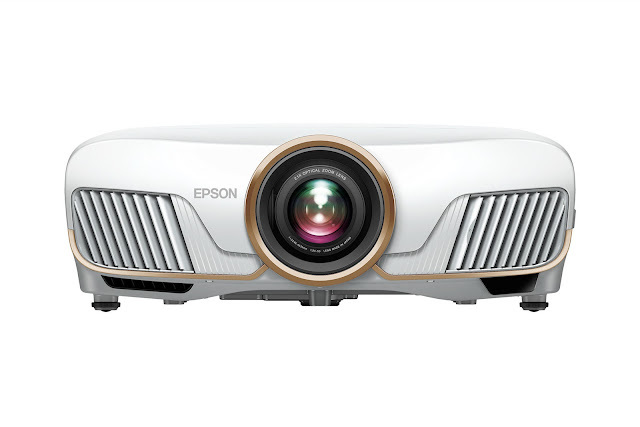 The Home Cinema 5050UB and 5050UBe are powered by Epson's 4K PRO-UHD2 resolution enhancement technology, an advanced, high performance optical engine that generates high color and white brightness, color accuracy, and dramatic contrast with HDR104. Epson's latest projectors fully support 4K HDR content at a full 60Hz for outstanding display of the latest 4K HDR content and next-generation gaming hardware. Featuring a dynamic contrast ratio up to 1,000,000:1, a wide color gamut displaying the entire DCI-P3 color space5, and Epson's proprietary 15-element glass projection lens, the latest Epson Home Cinema projectors offer an exceptional 4K experience to power any DIY home theater build. The Home Cinema 5050UBe (MSRP $3,299) and 5050UB (MSRP $2,999) 4K PRO-UHD2 projectors are now available through select e-tailers and the Epson online store. Each model comes with Epson's unsurpassed service and support including toll-free access to Epson's PrivateLine® priority support, 90-day limited lamp warranty, and free two-business-day exchange with Extra CareSM Home Service. The Home Cinema 5050UBe and 5050UB include a two-year limited warranty. For more information, please visit www.epson.com/home-entertainment-projectors.